Anyone born after 1993 will struggle to understand just how crazy the world went for digital pets. Trickling into the mainstream in the mid-1990s and catapulted into mass media with the release of the Tamagotchi, digital, artificial pets were a genuine sensation. In an age of smartphones and fibre optic broadband, the tech seems almost quaint now. But for a certain generation of people, digital pets were alive, loved, and a defining part of growing up. Whether you’re nostalgic for an age of Tamagotchi devices or wondering just how the world could be so enthralled by what was – to all intents and purposes – a fancy calculator, this article will try to explain just how and why digital pets were so popular and why we’re not done with them just yet. If we want to understand digital pets, it’s important to look at their history. To do so, we need to understand the nature of computing and technology in the early 1990s. Back then, we didn’t have super computers in our pockets and our lives didn’t live in the cloud. Back then, a few moving pixels on the screen was enough to keep us happy. Just look at the video game consoles at the time. The Atari, for instance, seems positively prehistoric. The Super Nintendo Entertainment System, released around the time period in question, was certainly popular and its games have held up well today. But they could only be used in conjunction with a television. Just like the SNES’s little portable brother, the Game Boy, it was very apparent that it was a games machine, rather than an actual, digital pet. Perhaps the game changer in this regard was the virtual pet franchise, Dogz. One look at that errant ‘Z’ at the end of the word tells you just how emblematic of the 1990s this games series was. Released in 1995 and designed for Windows computers, Dogz (part of a wider franchise named Petz) was a game which allowed the user to adopt, raise, and breed dogs. There wasn’t really a game involved, it was just a simulation of owning a pet – without all the mess and vets’ bills. Dogz – along with its kennelmates Catz, Horsez, and Hamsterz – eventually proved so popular that the franchise ended up selling around 22 million copies. It demonstrated that there was a real market for digital pets, even if they were still tethered to the cumbersome Windows computers of the day. A year later, everything changed. We’ll examine the Tamagotchi in its own section, but there’s no way to discuss the history of digital pets without mentioning its name. Those little egg-shaped machines were everywhere in 1996. If you were within earshot of a child (or an adult), you’d be sure to hear those familiar, monotone chirping and buzzing sounds. The most important quality of the Tamagotchi – and the one which really helped Bandai to crack the Western market wide open – was the portability of the thing. You didn’t have to boot up a PC, insert a CD, and wait for everything to load. The little critter was right there, on your keychain, with you the entire day. Just like a real pet, it demanded care and attention at all hours. Just like a real pet, you had to lavish it with this care and attention, lest harm befall the poor creature. There was even a sense of progression. You had to raise the digital animal from the moment it popped out of its egg, right through infancy, into the difficult teenage years, and into adulthood. Along the way, you could train the pet, helping to teach it behaviours and tricks. You could even discipline the pet when it was badly behaved and clicking that button carried a heavy emotional weight, just as with a real pet. If you didn’t take care of your pet – whether through negligence or forgetfulness – it died. Plenty of children’s formative experiences of death came when their little Tamagotchi finally bit the bullet, all because they hadn’t clicked the right button at the right time. You could compare the age of your pets, (makeshift high scores) which showed friends just how good of an owner you were for your digital pet. It was a sales sensation. Of course, in the aftermath of the Tamagotchi, everyone wanted a piece of the pie. Later, we’ll check out some of the chief rivals to Bandai’s throne, but they all operated on the same essential model: little plastic device with a monochrome digital screen. That was the format and that was what sold. And, oh boy, did it sell. At the peak of its popularity, 15 Tamagotchi devices were sold every minute in the United States. As of 2018, Bandai estimates that they’ve sold 82 million of the devices. And that’s just the official ones. There were plenty of imitators and pretenders. Everyone and their friend had a digital pet. But the genre wasn’t done evolving. After the buzz around the Tamagotchi died down (which took a while), a new type of digital pet emerged. By this time, portable gaming had evolved massively since the mid-1990s. The Nintendo Game Boy had been replaced with an entirely new machine, the DS. The Dual Screen set-up from which the console takes its name was important. On top was a conventional screen – fully colourised, by now – and below was a touch screen, activated using a stylus (or a finger). It was this touch capability which resounded so well with the digital pet crowd. In 2005, Nintendo released Nintendogs – another digital pet game series with an atrocious name. It was a pet simulator, offering much the same experience at the Tamagotchi. You could raise a dog, petting it, training it, caring for it, and – on occasion – disciplining it. Thanks to the touch screen and the microphone, owners could actually pet and talk to their dog, which would react accordingly. It responded to your actual voice commands: tell the puppy to sit and it just might (if you’d trained it properly). Since the Nintendogs, there have been countless imitations. Games for the DS and smartphones apps have harnessed the power of the touch screen to make it feel as though you’re really interacting with your digital pets. Even if we no longer have dedicated digital pet devices, our digital pets are still very much with us. Perhaps the most important era in the history of digital pets was the rise (and the slow decline) of the Tamagotchi. The device was so successful and spawned so many imitators that it came to define the way we think about digital pets. The original Tamagotchi was the brainchild of Aki Maita, who created the pet simulation game for Bandai. The name was a portmanteau, a combination of the Japanese word for egg and the English word ‘watch’. Looking back on the hardware of the original device, it was barely more powerful than a wristwatch. Fitted with a 4-Bit CPU, it had a clock speed of 32.768 kHz and a tiny, tiny memory. The screen had two colours – blobs of black which were the massive pixels and the muddy green which was the bottlecap-sized LCD panel. Users controlled everything with three buttons on the front. Sounds like nothing, right? So how did it take over the world? Maita’s genius was in creating the stickiness of the digital creatures, making them grab hold of the user’s emotions until they wouldn’t let go. Right from the moment you watch a strange creature hatch from an egg, you feel as though you’re instantly connected with the pet. You’re right there at its birth, instantly sharing a moment. There was a back story, sure. An alien species had supposedly left the eggs on Earth and it was the job of the user to raise this creature into adulthood. But not many people knew or cared about the story. They just watched their weird new pet hatch from an egg and felt instantly compelled to care for it. Care came in a few simple forms. With clicks of the three buttons, you could feed, pet, and discipline your pet, as well as clean up any mess it left behind. The more attention you paid to it, the better behaved it would become. If you failed to nurture the pet, you’d be cursed with constant beeping sounds. Just like a crying baby, the Tamagotchi would squeal and chirp, demanding your attention. It played on humans’ natural caregiving instincts, as well as their guilt. Over the course of the next ten years, Bandai released plenty of different versions of the Tamagotchi. Bigger screens, different colours, freshly designed pets, and better hardware were all available. But every version tapped into that same natural human capacity for care. For kids, they were a fun game and parents liked that they could teach the child about responsibilities. It was a cheaper, cleaner alternative to a puppy. For plenty of adults, the devices were a fun distraction which brought a sudden (and often surprising) emotional attachment. Generating hundreds of millions of dollars in revenue, the Tamagotchi was the hot gift at Christmas and birthday parties throughout the mid to late 1990s. But it wasn’t just the official Tamagotchi that people wanted. Other companies saw Bandai’s success and decided that they wanted a slice of the digital pet pie. As we’ll see below, there was so much variety (and outright copying) that everyone could have the pet they wanted. But credit has to be given to Aki Maita and her original Tamagotchi. The game mechanics and the tech were just right for the time and you’ll still see those same essential elements today in all digital pets. There’s a clear line in thought from the Tamagotchi to Nintendogs to the Sony AIBO to our modern smartphone apps and AI machines. There were so many different digital pets released in the wake of Tamagotchi mania that it would take forever to list them all. But there were a few stand out examples. In the list below, we’ve selected a few of our favourites. Released a year after the Tamagotchi and also made by Bandai, Digimon tried to tap into the market for boys. Digimon was an edgier brand, founded on battling the creatures rather than just caring for them. It was almost like a barebones RPG, where you could level up your creature’s power through the care and attention you paid it. Most importantly of all, two of the Digimon devices could link together. If you and your friend both had Digimon, you could battle them against one another to find out whose was toughest. The idea was a massive success and, soon enough, Digimon was spun off into an entire brand of its own, with video games, t-shirts, and even a cartoon. If the Tamagotchi is the original digital pet device, then the Giga Pets were the original imitators. Created by one of Bandai’s biggest rivals, Tiger Electronics, the Giga Pet devices were released in 1997. Unlike the Bandai’s aliens, they often featured real life animals, such as dogs and cats. Later, they’d expand into stranger creatures, eventually including a Tyrannosaurs Rex and Sabrina the Teenage Witch’s cat, Salem. While the Giga Pets were very successful in the United States, they suffered from a branding issue which beset many of the entries in this list: everyone called them Tamagotchis anyway. Another device released in 1997, this time by Playmates. The Nano Pets line included a cat, a dog, and a human baby (which you’d care for exactly as you would the cat or the dog). While they sold well, the Playmates devices aren’t held in very high regard by the digital pets community. Released in – you guessed it – 1997, this is one of what would become a familiar pattern in the world of digital pets: the big brand tie-in. Think Way were not one of the biggest manufacturers, nor the most accomplished, but they did have the marketing power of Disney behind them. Their branded digital pets included tie-ins with the Little Mermaid and Toy Story. In the former, you were tasked with caring for an aquarium filled with digital fish, rather than the eponymous Little Mermaid herself. Before Ninetndogs, Nintendo dipped their feet into the waters of the digital pet world with a tie-in of their own. Their device was a dedicated Pikachu machine, using the character from their hugely popular Pokémon games. The RPG series was a natural fit for the digital pet machines, as you would have to catch, raise, and care for your Pokémon. Coloured yellow, just like Pikachu himself, this device’s stand out innovation was an in-built pedometer, which allowed the user to rack up points simply by walking around. These points (dubbed ‘watts’ in the game) could then be used to purchase presents for your Pikachu. Given the roaring popularity of the little electric mouse, this device was a big hit. Building on the success of their Pikachu device, Nintendo launched a follow up device a year later. The Pikachu Colour was similar to the original, wherein you earned ‘watts’ by walking around, but you could now use these watts to help your progress on the latest Pokémon games. Using the infra-red sensor on the Game Boy colour, you could exchange information between the digital pet and the video game, a real innovation at the time. By the time the Pikachu Colour was released, the era of the digital pet was beginning to end. While devices still sold well – and do to this day – they no longer racked up the tens of millions of units they once did. The market was saturated and not even the Tamagotchi could continue to post massive sales figures. But digital pets are not gone. These days, we don’t need dedicated devices to power our virtual pets. A cursory search of any app store will reveal plenty of digital creatures, all looking for care and attention. Just like the Tamagotchi of old, you will need to feed them and pet them, training them as they grow old. As with the Nintendogs games, you can use the touchscreen and the microphone to interact with your pets. And just like the Pikachu games, the phone’s GPS will allow you to take them for walks. It’s not that we lost our digital pets, they just started living in our phones. Furthermore, it’s still possible to buy dedicated Tamagotchi devices. These days, they’re not much more than nostalgic trips down memory lane, though they can make excellent presents if you find the right device for the right person. According to futurist thinker Ross Dawson, we’re going to be seeing more and more robotic and digital pets in our lives. 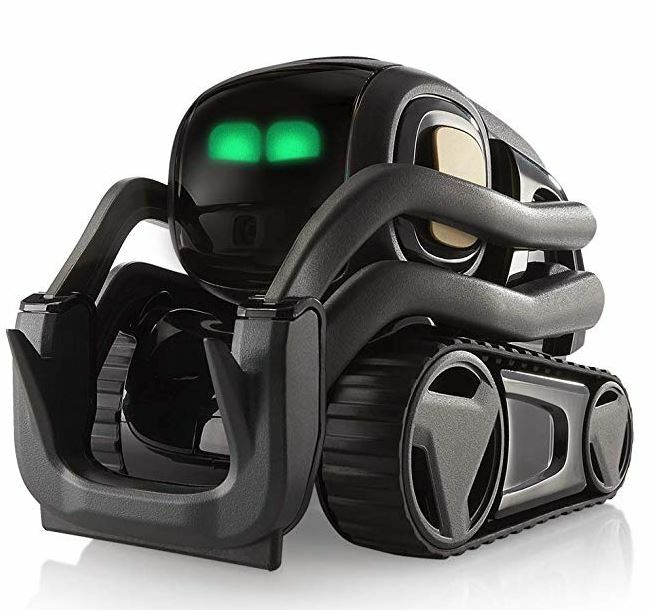 While AI and animatronics are improving by the day, allowing truly wonderful robots to be created, it’s the smaller, digital-only pets which perhaps will be more and more popular. As cities continue to grow, as living space becomes less available, and as our society becomes more atomised and isolated, the appeal of digital pets will surely grow.